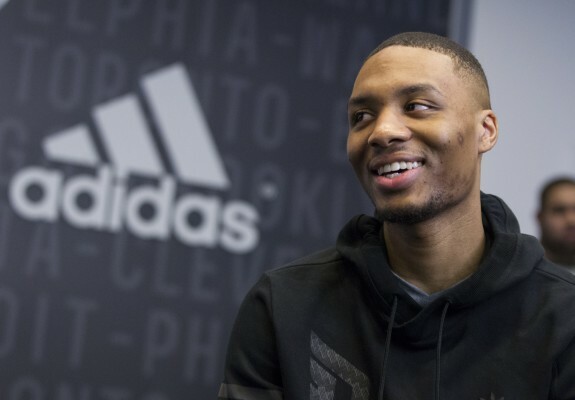 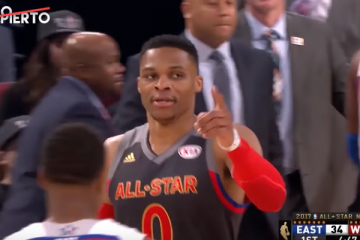 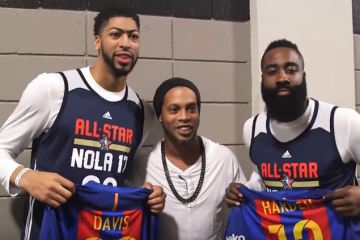 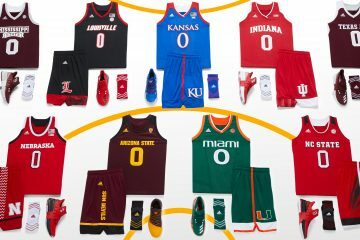 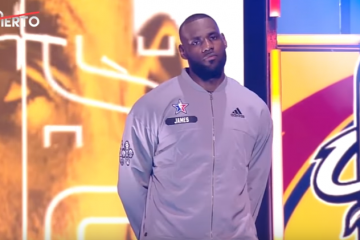 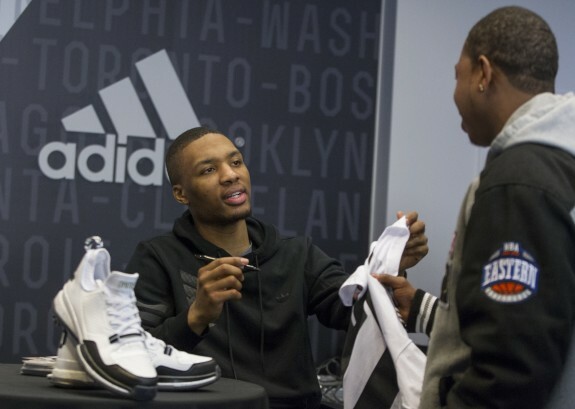 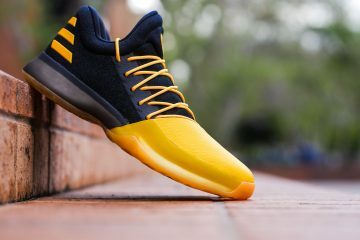 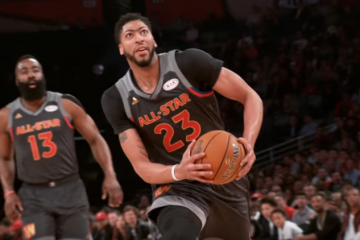 adidas NBA All-Star 2015 events continued Saturday in New York City featuring NBA All-Star Damian Lillard (Portland Trail Blazers), BBVA Compass Rising Stars MVP Andrew Wiggins, Shabazz Muhammad (Minnesota Timberwolves), and Dante Exum (Utah Jazz). 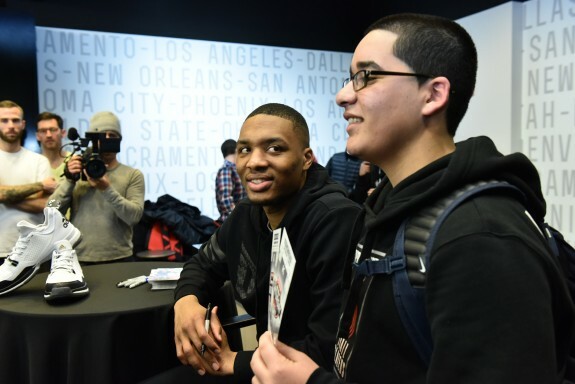 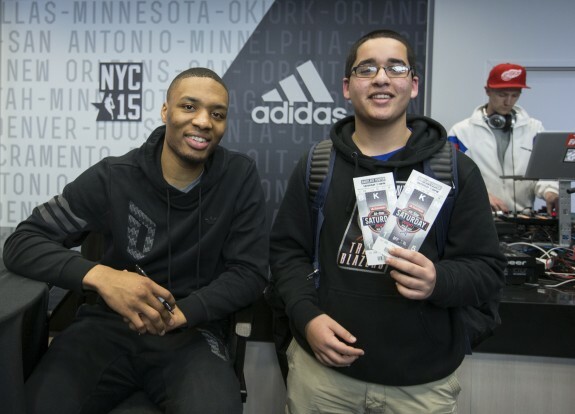 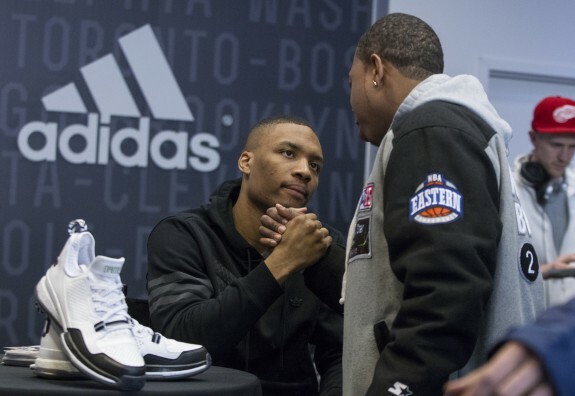 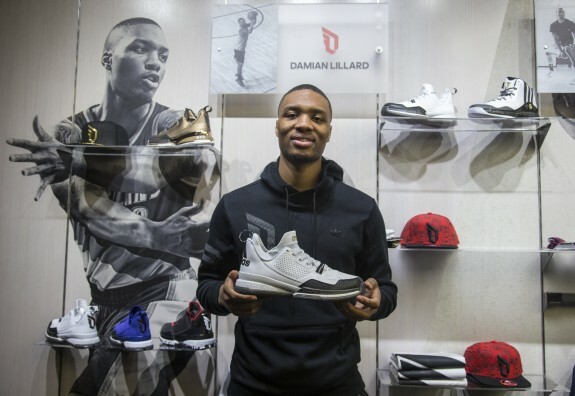 Lillard greeted fans at The a Standard at Foot Locker pop-up store in Brooklyn, surprising a Portland Trail Blazers fan with two tickets to NBA All-Star Saturday Night. 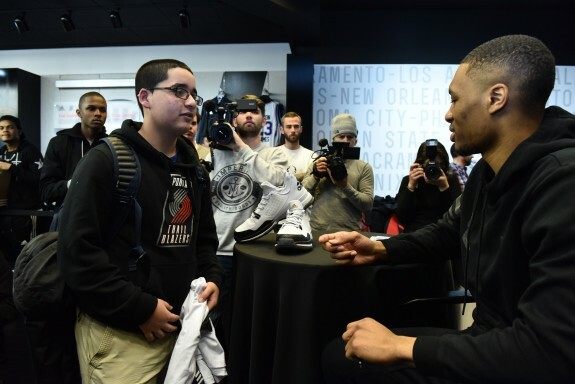 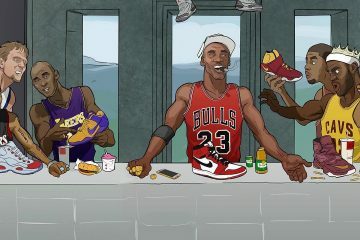 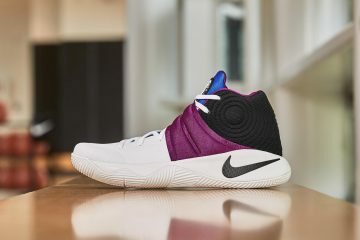 Saturday afternoon, Wiggins, Muhammad and Exum took pictures with fans at the adidas Sport Performance Store in New York City to celebrate NBA All-Star 2015.